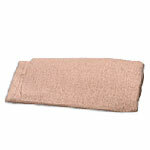 Molnlycke Tubigrip (Medium Arthro-Pad, part number 1586) provides support for knees or elbows after surgery. They can also be used to assist those with arthritic knees or elbows. Washable. Pack of 3 bandages. Molnlycke Tubigrip (Medium Arthro-Pad, part number 1586) provides support for knees or elbows after surgery. They can also be used to assist those with arthritic knees or elbows. Washable.